In childhood, I enjoyed large support for my creations from my grandmother's and mother's side. We used to sit all weekends with my grandma and we embroided and sung. My mom sat me to sewing machine immediately I was able to reach the treadle. I remember first thing I sewed the carnival skirt was, of her old clothes. 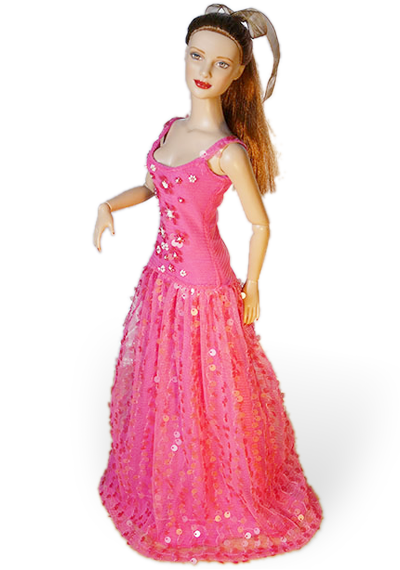 But since a young age I wanted to have a doll that should be with waist and looking like a real woman for sewing by normal sewing patterns. I was fascinated by the world, where reality and imagination can blend and dolls was an appropriate tool for it, because I also wanted to have it all real. Today there are dolls that are "adult", just as we wanted to be in childhood. They are available and I have them. We also have retained the charm which is lost in adulthood,and we are back with our toys. If you like the project and you want to support it, you can donate via PayPal. Thank you for your support, every the contribution inspires me to the next publication. Take a walk together the field of textile art, toy design, modeling, painting. I wanted to stop time, to lay in warm duvets with a doll under the chin. To swing on a swing with small teddy bear in the pocket of dungarees, to bring my Masenka in a basket unde scarf when we went with my mother to pick mushrooms. Already I don't want to stop the time. I have my doll on a stand beside the monitor and still I am swinging on the swing with a feeling that the world is a beautiful place to games. Evening I check kids whether they have their doll properly under the chin. I could give real form to my child dreams as an adult.